The Plastics Industry Association (Plastics) has given its support to the US’ recent bilateral agreement with Mexico, announcing as a ‘step in the right direction’ for the plastics industry. The support from Plastics is for the revised deal between the US and Mexico which modernises the North American Free Trade Agreement (NAFTA). Last year, Plastics and two other leading industry associations outlined what they expected from the trade deal, amongst which included a continued support of the industry; aligned regulations allowing companies to easily operate across borders; no new tariffs and simplified trade and customs documentations. 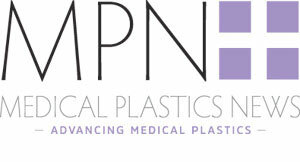 Now Plastics has responded to the agreement, stating: “The North American plastics industry has always stood firm in its support of modernising the North American Free Trade Agreement (NAFTA), having outlined our priorities more than a year ago when the process of renegotiation first began. “While we look forward to Canada’s involvement in finalising the pact, today’s announcement of a bilateral agreement between the U.S. and Mexico is a step in the right direction toward a truly modern agreement that can deliver for the workers, families and communities who depend on the nation’s plastics industry. The new trade deal mainly involves the automotive industry but technology companies will be affected through new measures to do with IP, trade secrets and digital trade. The NAFTA agreement includes trade agreements between the US, Canada and Mexico, but the revised version casts doubt on Canada’s inclusion. President Trump has stated that the US is willing to move ahead with a bilateral agreement solely between the US and Mexico if Canada doesn’t agree to the deal’s terms.